"President Donald J. Trump has warned that such an attack would be a reckless escalation of an already tragic conflict and would risk the lives of hundreds of thousands of people". The White House warned Syria's President Bashar Assad on Tuesday that if he chooses to use chemical weapons, the USA and its allies "will respond swiftly and appropriately", pushing back against an expected Syrian government offensive against an opposition stronghold. Syrian state media and the Syrian Observatory for Human Rights reported that pro-government forces focused their shelling overnight and on Wednesday on the western and southern edges of the rebel enclave. 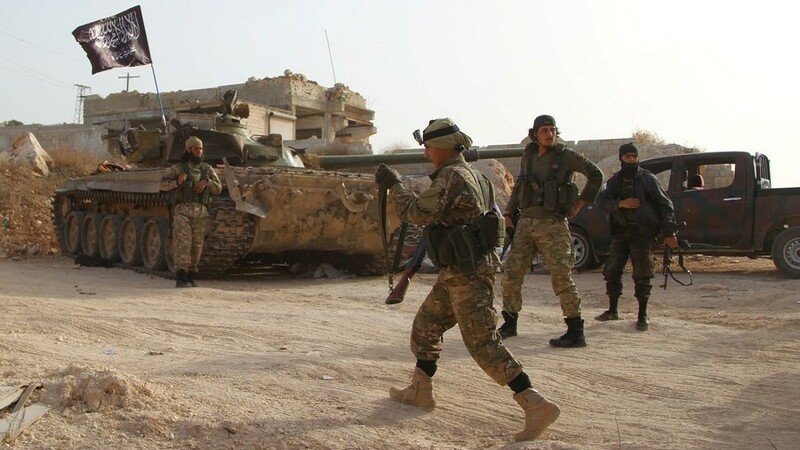 Syrian forces are amassing around the northwestern province of Idlib, in preparation for the assault. Turkish President Recep Tayyip Erdogan, Russian President Vladimir Putin and Iranian President Hassan Rouhani are scheduled to meet in Tehran on Friday for a trilateral summit on Syria. "Let's try to avoid that the last probably major battle of the Syrian territorial conflict...ends in a bloodbath", he told reporters in Geneva, insisting Russian Federation and Turkey held "the key for the soft solution to the Idlib issue". "Russian warplanes resumed bombing Idlib province after a 22-day pause", said Rami Abdel Rahman, who heads the monitor. The Syrian military has been deploying reinforcements to the zone for more than a month, and Russian Federation has stepped up its rhetoric. Cavusoglu said a common strategy was required to eliminate terrorist groups in Idlib but the continuation of attacks could be disastrous. But he stressed that there are some 2.9 million civilians in the province, including around one million children, who "are not terrorists". The Trump administration said Tuesday that any reckless action taken by the President Bashar al-Assad and his regime's allies would incur the United States' ire. FILE - U.S. Secretary of Defense James Mattis attends a news conference at Libertador Building in Buenos Aires, Argentina, Aug. 15, 2018. On the other hand, Mattis said there is evidence that President Bashar al-Assad has "done this before and we are watching very closely for this". "We're going to be much more measured".